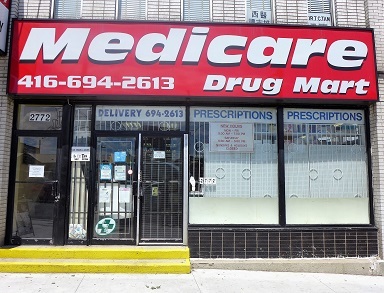 Medicare Drug Mart provides a wide range of products for your convenience under one roof. Drugs, prescriptions, beauty care supplies, free delivery. Front shop includes cards, gifts, cosmetics.